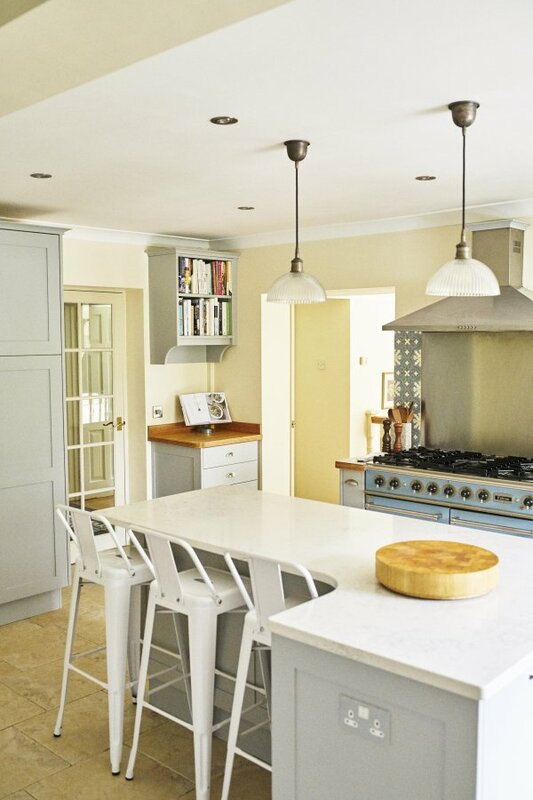 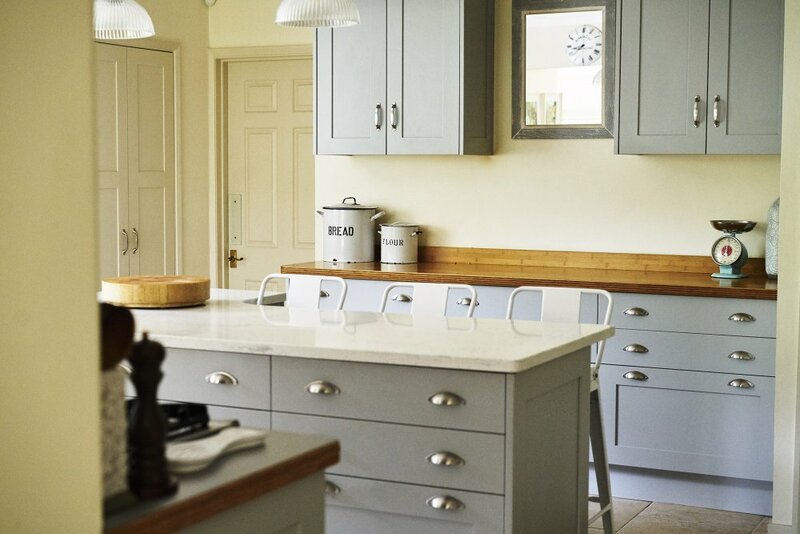 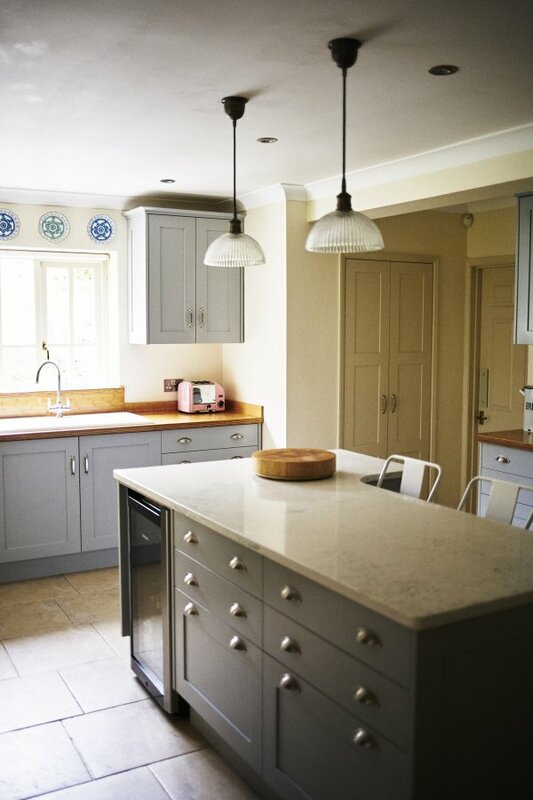 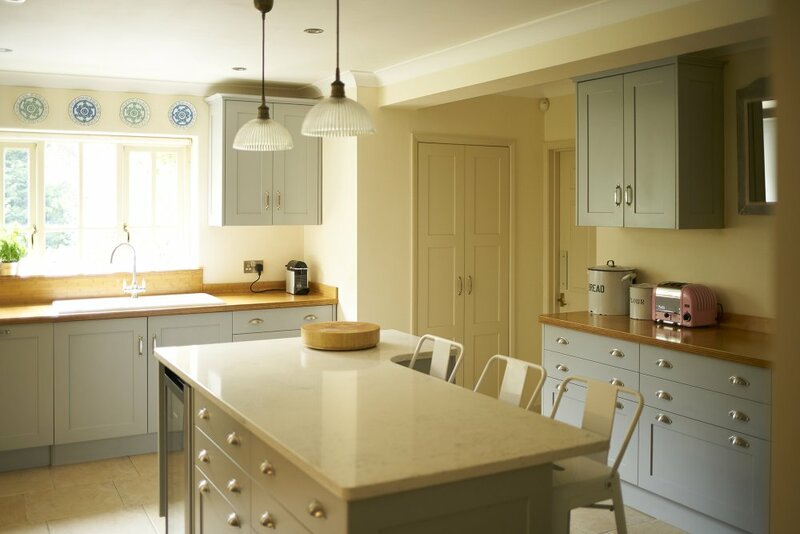 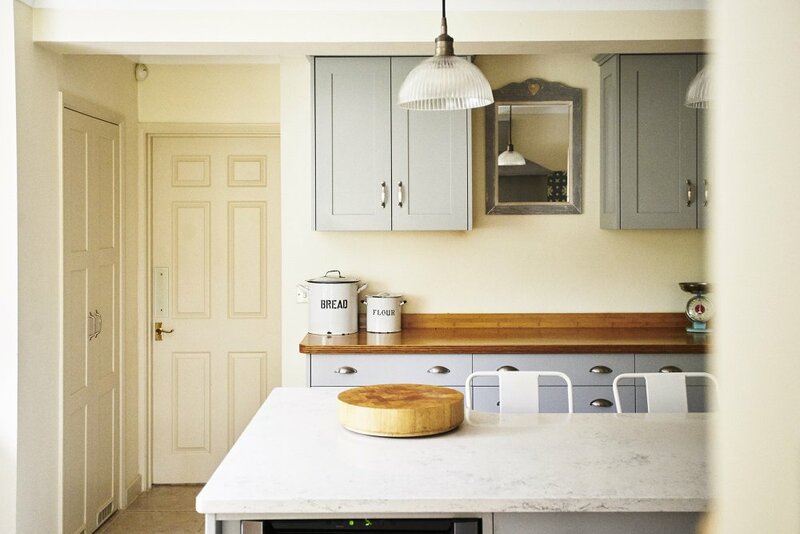 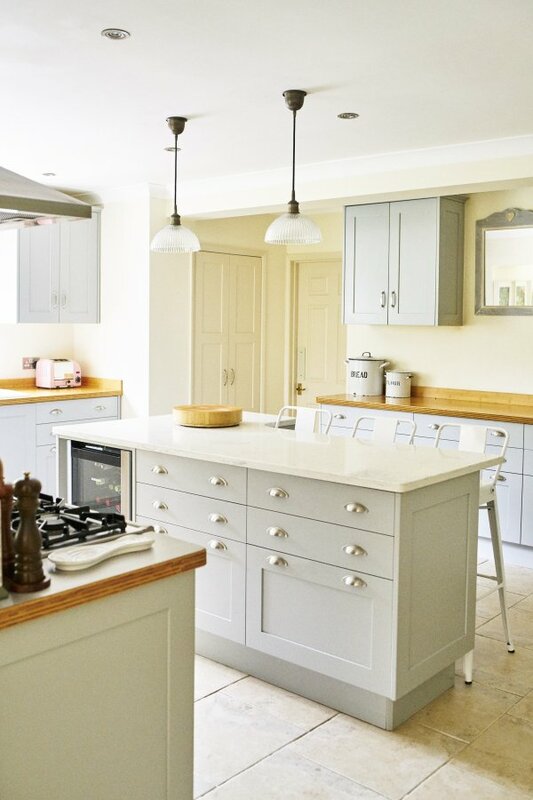 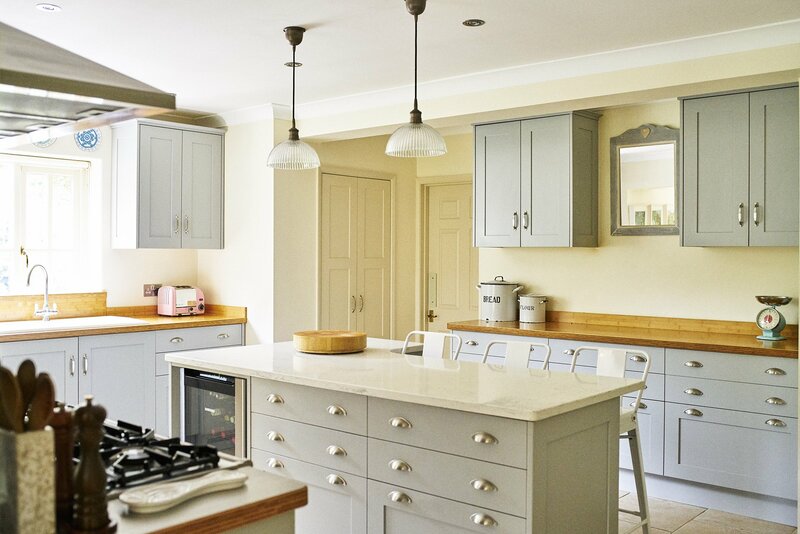 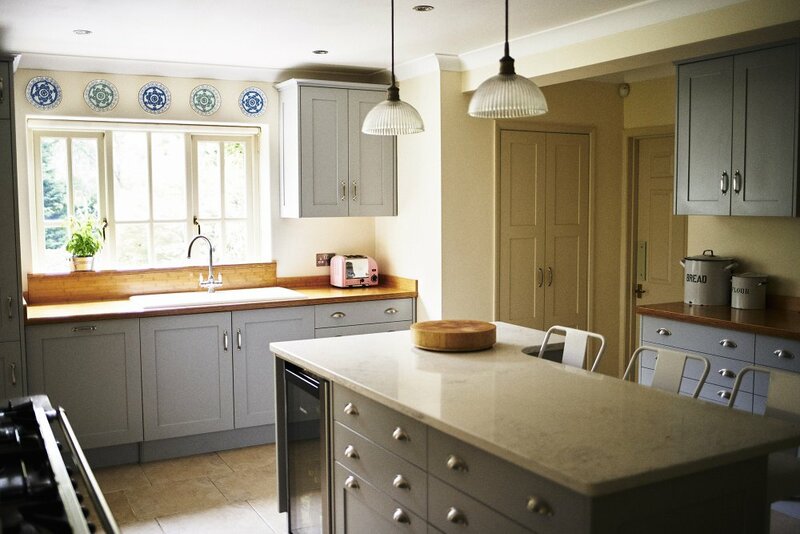 This kitchen reflects the French-influenced style of the rest of the Mid-Sussex based home with units in soft blue-grey, set against a quartz marble-effect island with bamboo surrounding worktops. 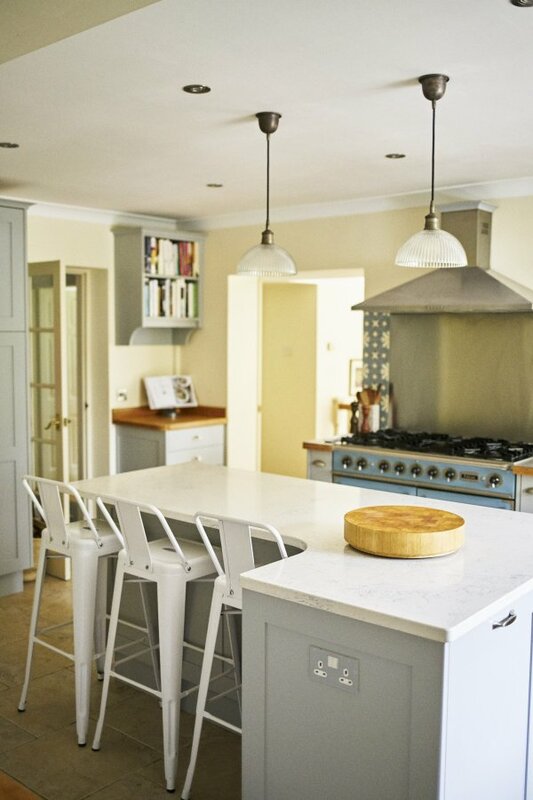 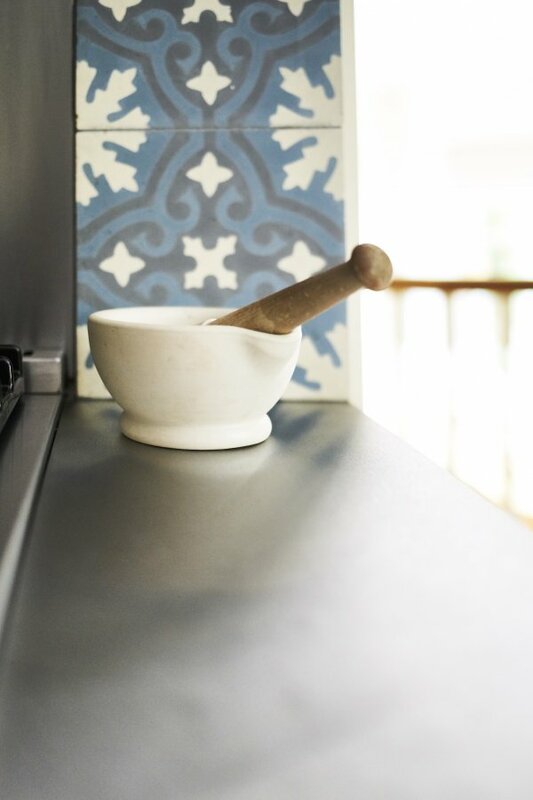 The homeowner loves to cook, so the centrepiece of this kitchen is the blue Falcon double-oven range with practical narrow storage units either side for chopping boards and spices, plus encaustic tiles flanking the brushed aluminium splashback. 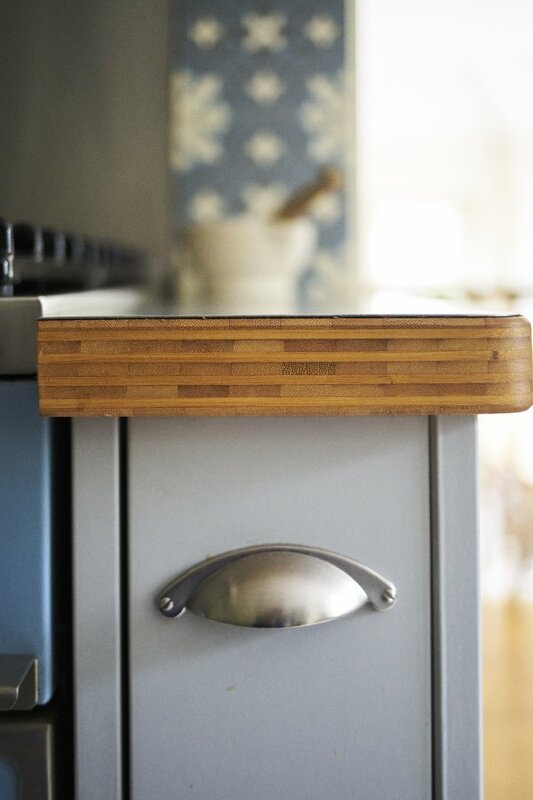 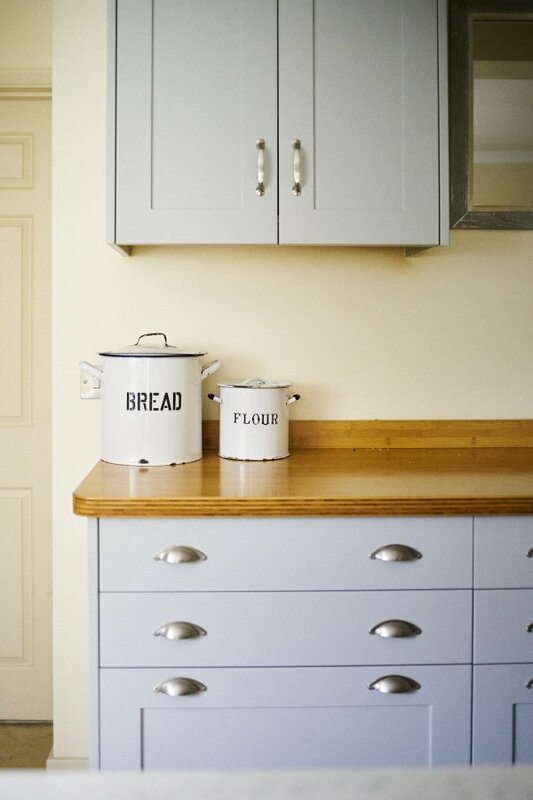 Both the island and wide bank of units on the back-wall house extra-deep drawers for pots, pans and dishes, again making this kitchen ultra-user-friendly for a keen cook. 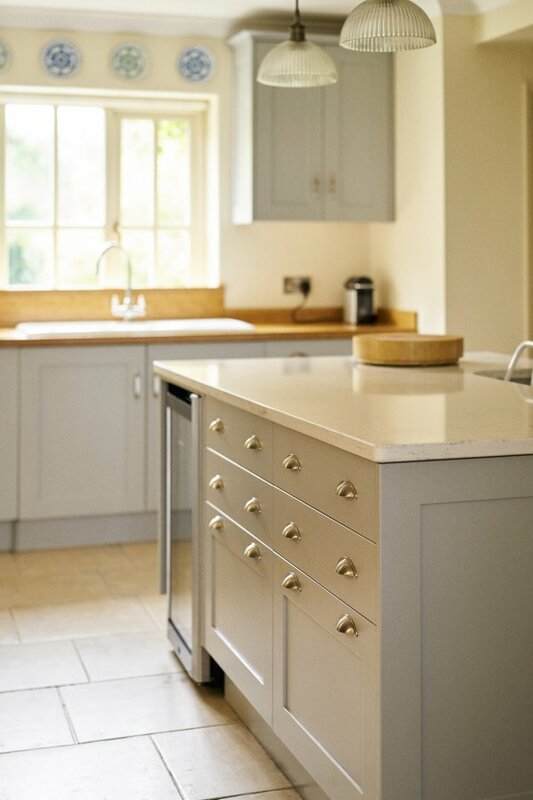 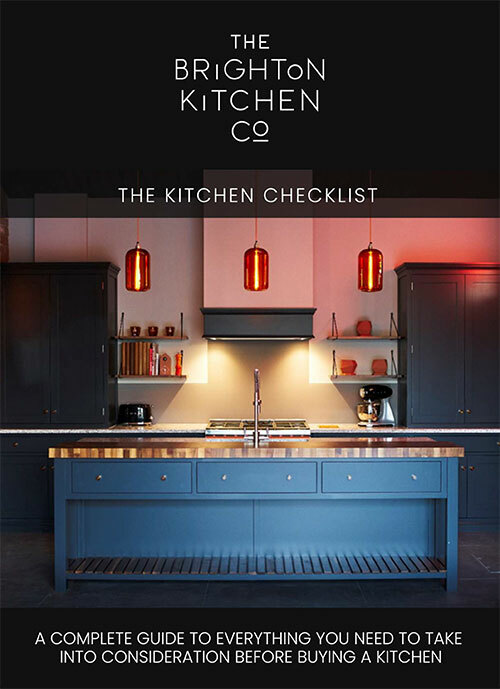 The kitchen larder, integrated Bosch fridge-freezer and hidden microwave are all discretely built into the scheme so the effect is of a painted shaker kitchen that feels well-furnished; the antithesis of its high-tech contemporary counterparts. 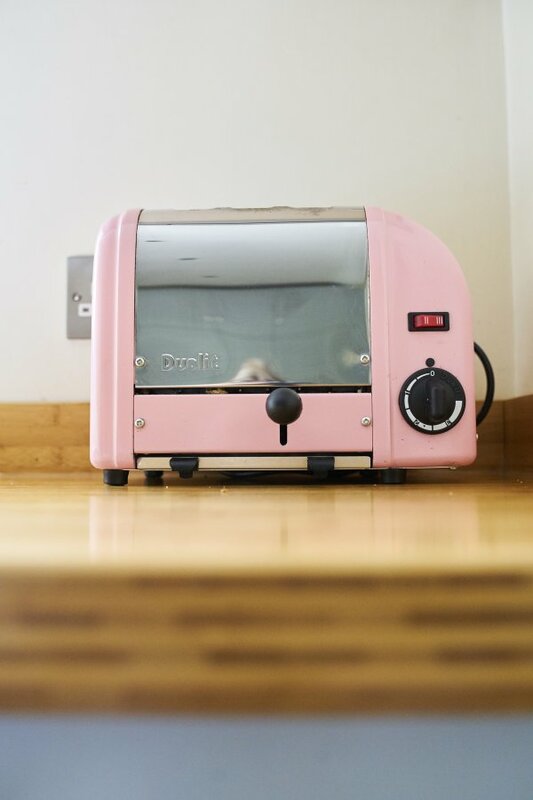 The Scandinavian sourced, glass pendant lights sit comfortably alongside the other bolder details such as the retro pink toaster and baby blue weighing scales which add pops of colour.